Starting in the 1950s, political upheaval began to intensify in various countries across Latin America, which sparked significant changes in the contemporary Latin American Catholic Church. Although these events have been recorded, the materials are spread throughout Latin America, which limits the capability of scholars to study these important moments. To preserve and share this history, Notre Dame researchers are collecting a variety of audio recordings, handwritten documents, and texts to develop a digital library of critical events that took place throughout Latin America over more than 60 years and ultimately changed the Catholic Church. 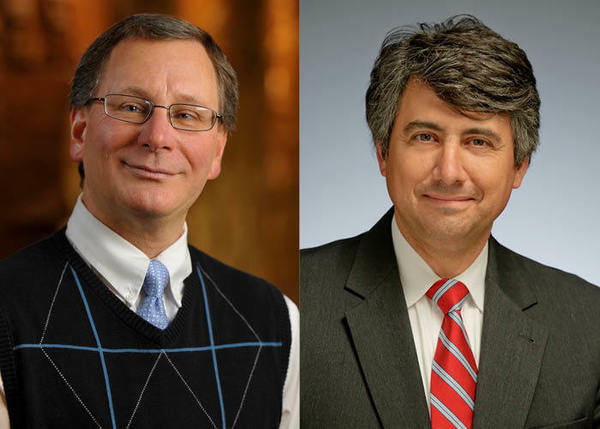 Peter Casarella, associate professor of theology and director of Latin America North American Church Concerns (LANACC) at the Kellogg Institute for International Studies, and Timothy Matovina, professor and chair of the Department of Theology, are working in consultation with Alex Papson, metadata and digital services librarian at the Hesburgh Libraries’ Center for Digital Scholarship, to digitize these unparalleled resources and preserve them as a digital library collection in CurateND, Notre Dame’s institutional repository. Three main collections will be the initial focus of the digital library of the Latin American Church. 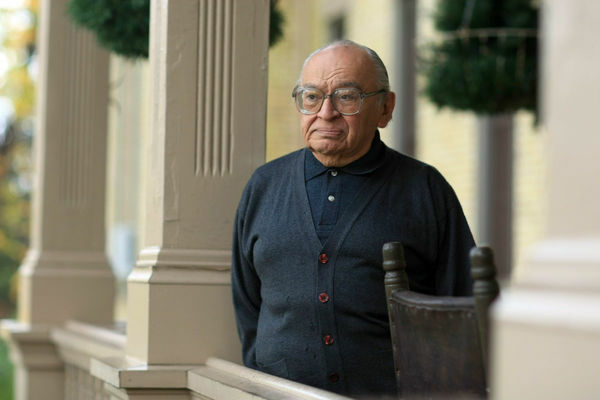 One of the collections will include journal entries, booklets, audio recordings, and more about Gustavo Gutiérrez, the John Cardinal O’Hara Professor of Theology. Gutiérrez is credited with developing a new approach to theology while working in Peru, the Latin American “theology of liberation.” This approach asked Catholic leaders and followers to not only listen to the poor, but also called for a “preferential option for the poor” – an understanding of the realities of being poor. The digital library will also house the complete proceedings (15 volumes) of — and newspaper clippings about — the 1968 General Conference of the Consejo Episcopal Latinamericano (CELAM) that took place in Medellín, Colombia. Not only is Medellín momentous because it implemented Vatican II, but also because it was the first conference to set the stage for proliferating the theology of liberation and preferential option for the poor. The digitization of these acts will allow scholars to better understand the impact this conference had on the Latin American Catholic Church. The third collection will include materials about Archbishop Marcos McGrath, C.S.C, over a period of several decades. 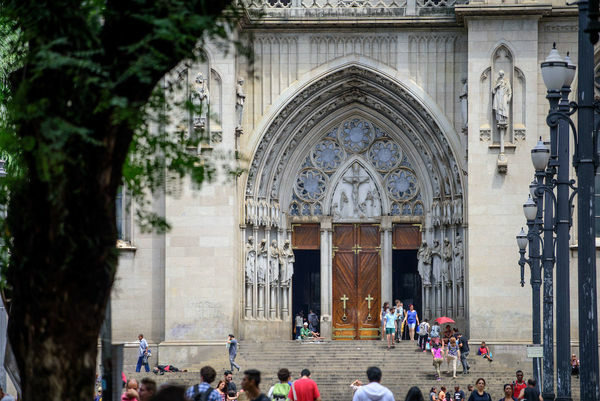 These resources are noteworthy because after McGrath graduated from Notre Dame in 1945, he moved back to Panama, his birthplace, and worked to bring together the rich and the poor in one community. Additionally, McGrath played a central role on the Second Vatican Council and even oversaw a sub-commission on which the future Pope John Paul II served. Eventually, the researchers working on the project would like to translate the collected materials into a variety of languages, since most documents and audio files are in Spanish. However, the final form of distribution for the collected materials is still under discussion. “Professor Matovina and I are very grateful to the Instituto Bartolomé de las Casas, CELAM, the Universidad Santa María Antigua in Panama, and the Catholic University of Peru for their collaboration, as without them this project would not be possible,” said Casarella. The digital library project is funded through a Library Acquisitions Grant, which is part of the Notre Dame Research Internal Grant Program. To learn more about other projects funded through the Library Acquisitions Grant program, visit https://research.nd.edu/our-services/funding-opportunities/faculty/internal-grants-programs/library-acquisitions-grant—-past-recipients/.